Do you need any virtual assistant for doing data entry, designing and other tasks ? 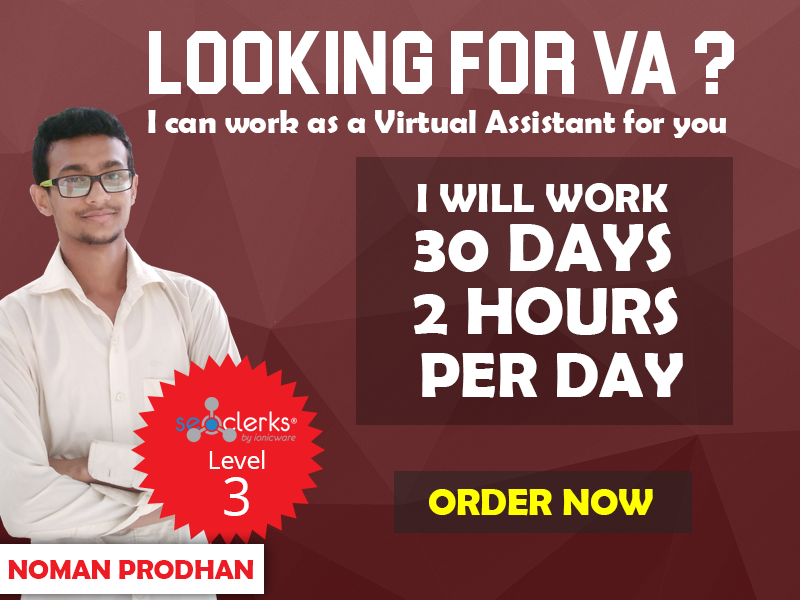 If yes than I can work as a virtual assistant for you . I can also do other task, so feel free to message me. Remember that, if you will buy this service I will work as a Virtual Assistant for one month and will work maximum 2 hours daily. Before order the service, please send me message about your tasks. Then we will not have any issue with our agreements. I can work as a VA for one month is ranked 5 out of 5. Based on 6 user reviews.